"I want to make it clear and make a respectful call to that government," said the Colombian president. 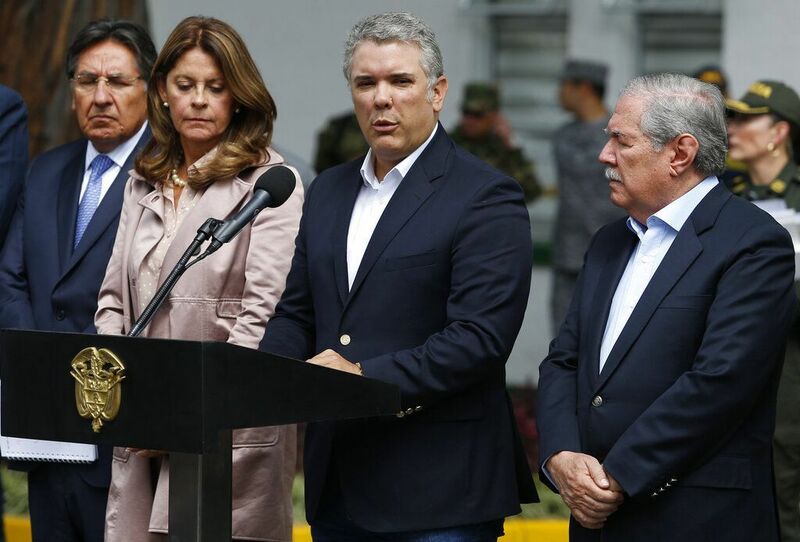 Colombian President Iván Duque making a statement at the Santander General Police School, in Bogotá, after a bomb exploded on the campus on Thursday, January 17, 2019. Photo: John Wilson Vizcaino / AP. Colombian President Iván Duque last week asked Cuba to hand over the ten members of the ELN who are part of the peace delegation on the island after ordering the lifting of the suspension of arrest warrants against them after the terrorist attack in Bogotá that left 21 cadets dead and 68 injured. “I want to make it clear and make a respectful call to that government. 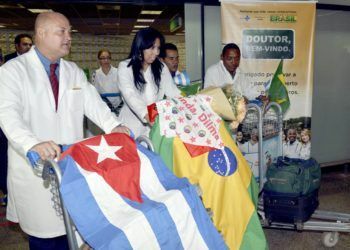 What was presented this week doesn’t change anything, it does not mean stopping any dialogue because we were not present at that table waiting for the hostages to be freed and the terrorist attacks to stop,” said Duque in response to a Cuban Foreign Ministry declaration. 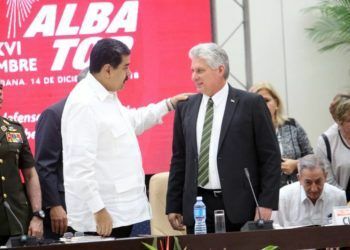 Cuban Foreign Minister Bruno Rodríguez pledged to respect the peace dialogue protocols between the government of Colombia and the ELN, based in Havana, in response to Bogotá’s request. 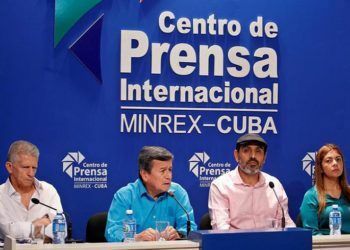 “Cuba will act in strict compliance with the Peace Dialogue Protocols signed between the government and the ELN, including the Protocol in Case of Breaking-off the Negotiation. 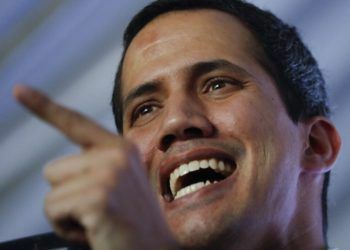 It is being consulted with the parties and other guarantors,” Rodríguez wrote in his official Twitter account. 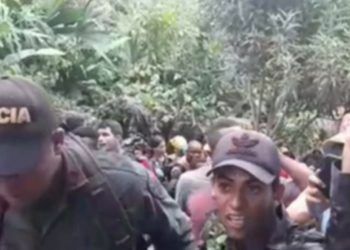 The Cuban minister reiterated his condolences on the death of at least 20 cadets and 68 wounded from the terrorist attack against the Police School in Bogotá last Thursday and which was attributed to the National Liberation Army (ELN) guerrilla forces, to which the attacker, killed in the assault, supposedly belonged. 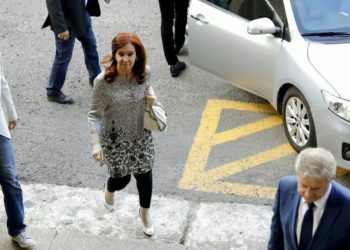 The Cuban foreign minister’s statements came hours after Colombian President Iván Duque lifted the suspension of the arrest warrants for the ELN negotiating team in Havana and asked Cuba that they be immediately handed over to the authorities of the South American country. 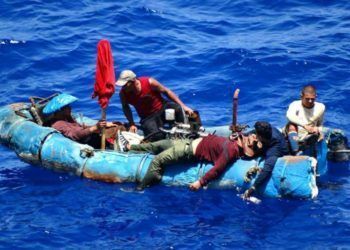 “We appreciate the solidarity expressed by the government of Cuba over the attack and today we ask them to make effective the capture of the terrorists who are in its territory and deliver them to the Colombian police authorities,” said Duque, who did not specify if he had canceled the peace dialogue on the island. 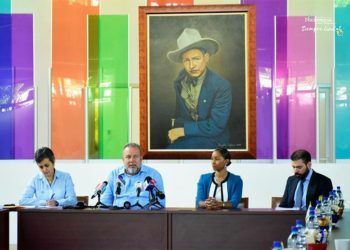 The members of the guerrillas were waiting in the Cuban capital for the decision of Duque’s new government, which took office last August, on whether to continue the peace negotiations with the ELN, initiated by his predecessor Juan Manuel Santos.